Less than 1% of dentists have achieved this designation. This represents training across a broad range of dentistry from surgery to cosmetics. Dr. Linger has served as the dedicated Dental Implant Surgeon for a large group practice. Now with his own solo location, he and his team are uniquely qualified to provide expert level care at one location for patients seeking dental implants. Dr. Linger is the first Dentist in Charlotte to use the Computer Guided 3-D Implant Surgery system, the X-Guide. Credentials - Dr. Linger's credentials include Mastership in the Academy of General Dentistry and Fellowship in the International Congress of Oral Implantologists. He has trained at the Pankey Institute and Dawson Academy. He currently serves as the President of the Academy of Microscope Enhanced Dentistry, an international organization with members in 37 countries. Dr. Linger also serves as an evaluator for the North Carolina State Board of Dental Examiners, and on the Scientific Advisory Board for America's Tooth Fairy. Experience - Dr. 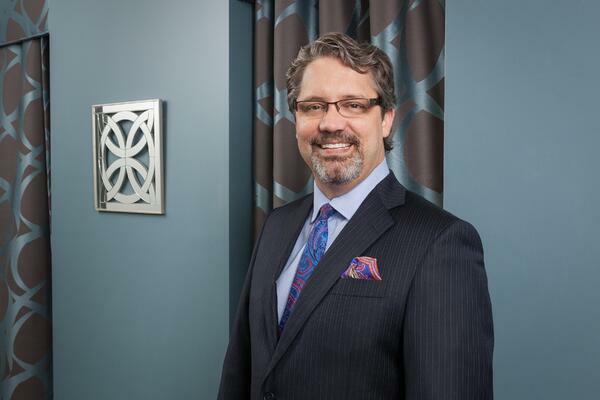 Linger has over 23 years of experience working on complex, multidisciplinary dental cases. He is excited to practice dentistry - Dr. Linger enjoys his work and it shows! He is always working to bring cutting edge dental technologies into his practice. Cutting Edge Technology - Dr. Linger is one of the few dentists in the world performing Dental Implant Microsurgery, and is the first Dentist in Charlotte to use the X-Guide Computer navigated implant surgery system. Teeth in One Day - Utilizing all on 4 as well as the S.M.I.L.E. Technique, Dr. Linger offers teeth in one day for single and full mouth implants. International Reputation - People from all over the Globe have come to Charlotte, NC for Dr. Linger's expertise. He is an internationally known speaker on Dental Excellence. He is an artistic dentist - Dentistry is an art and a science. It requires mastery and techniques unique to the profession. Dr. Linger has the artistic talent to create beautiful smiles. In his personal life, Dr. Linger is an avid musician who plays guitar and piano. He is passionate about providing care to those in need - Dr. Linger participates in community service, helping those in need with oral care and treatment. He is caring and concerned about how his patients feel during procedures - Dr. Linger communicates with the patient during every step of a procedure, making sure they are comfortable. Dr. Linger goes to great lengths to make his patients comfortable and relaxed each and every time. He is a very good communicator - Dr. Linger has an effective ability to explain complex procedures and processes into easy to understand language so that his patients can understand exactly what is going on in his or her mouth and any procedures that he suggests. Using the latest advances in 3D ConeBeam CT evaluation combined with Computer Guided Implant Surgery and Dental Implant Microsurgery, Dr. Linger’s Caring and Personal Method of Dental Implant Microsurgery Results in faster healing times for our patients. Microsurgery allows for dental implant placement without the traumatic impact of major incisions. This means less pain, swelling and faster recovery. Often surgery can be performed without the need for stitches! Very precise placement and alignment of each implant using Charlotte's first computer guided implant system. To see what separates us from Clear Choice and other Corporate Dental Implant Centers CLICK HERE. Call our office at 704-364-2510 to receive FREE Information on dental implants and to schedule a Free Consultation with Dr. Linger to discuss all of your options by using dental implant microsurgery here in our office. “Dr. Linger solved a big problem for me. I have had work done by dental specialists previously but the one-stop shop that Dr. Linger maintains works well. You don’t need to coordinate work between specialists. During the past year, Dr. Linger performed a sinus lift, bone grafting, and five implants in both sides of my mouth. The outcome is amazing. His clinic has the latest equipment, his staff is super friendly. “What I appreciate as a consumer of excellent provider services (to the point of research prior, and a consult with Dr. Linger and staff) is that Dr. Linger and his staff make special efforts to ensure you are Number One. It’s not only about stellar dentistry (which is a given with Dr. Linger) it about the care in the chair and the aftercare. It’s like you are with family. They take note of your needs and be sure they are met. Dr. Linger is careful, and fussy about his approach — doing what is right, not what is easy or just what I happen to want. I had so much work by Dr. Linger that I feel very confident in saying what I have.